The Hispanic National Bar Association (HNBA), the National LGBT Bar Association (National LGBT Bar), the National Native American Bar Association (NNABA), the National Asian Pacific American Bar Association (NAPABA) and the National Bar Association (NBA) issued a joint statement late last week expressing support for efforts by the AAPI community to hold Fox News accountable for a segment of Watters’ World that aired in early October and which has been widely decried as racist against the Asian American community. Combined, the five Affinity Bar Associations represent nearly two hundred thousand Black, Hispanic, AAPI, Native and LGBT lawyers and hundreds of local chapters across the country. In the statement released publicly on Friday and sent to Fox News headquarters, the coalition of Affinity Bar Associations expressed “deep dissatisfaction” with Fox News’ failure to adequately address charges of racism. The coalition added their voices to the growing chorus insisting that Fox News meet the demands outlined in a recent joint letter signed by 120+ AAPI organizations. That letter was delivered, along with a petition signed by over 20,000 community members, to Fox News representatives earlier this month. 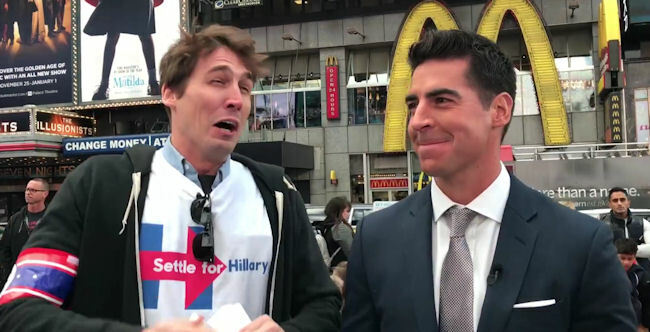 So-called “guerilla comedians” Justin Selvig and Davram Stiefler posted a video this morning documenting an exchange between Selvig and Fox News correspondent Jesse Watters in Times Square. 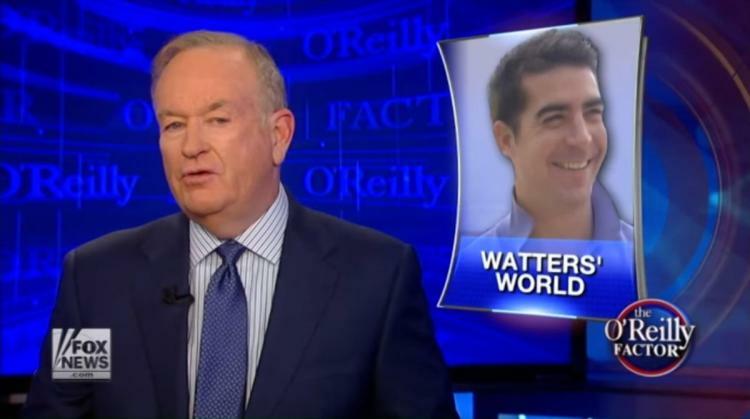 Watters has been the focus of widespread outrage for a racist anti-Asian segment of his regular feature Watters’ World, which airs weekly on The O’Reilly Factor. The episode — Watters’ World: Chinatown Edition — featured Watters’ using his characteristic “ambush journalism” style against residents of Manhattan’s Chinatown interspersed with references to a range of appallingly anti-Chinese and anti-Asian stereotypes. Since the episode’s airing on October 3, 2016, Watters and Fox News has faced profound backlash, and recently a petition containing 24,000 signatures and an open letter signed by 134 AAPI organizations (both co-organized by this site) were delivered to representatives of Fox News demanding accountability. Folks have been having a lot of fun at Watters’ expense, too. On Sunday, The O’Reilly Factor host Bill O’Reilly claimed that Fox News had received virtually no backlash in response to the racist ‘Watters’ World’ segment aired on the show last Monday. Claiming that the segment “wasn’t over the line,” O’Reilly blamed the bulk of the segment’s criticism on “far-left” websites, while suggesting that Fox News had received only ten irate letters after the segment aired. Well, O’Reilly can no longer claim that to be true. Last Thursday, in the wake of several public statements issued by AAPI advocacy groups, I created a Change.org petition to help amplify the community’s outcry against Fox News, The O’Reilly Factor, and ‘Watters’ World’. In less than 96 hours, the petition had accumulated nearly 20,000 signatures. Today, four copies of the full petition arrived at Fox News headquarters. 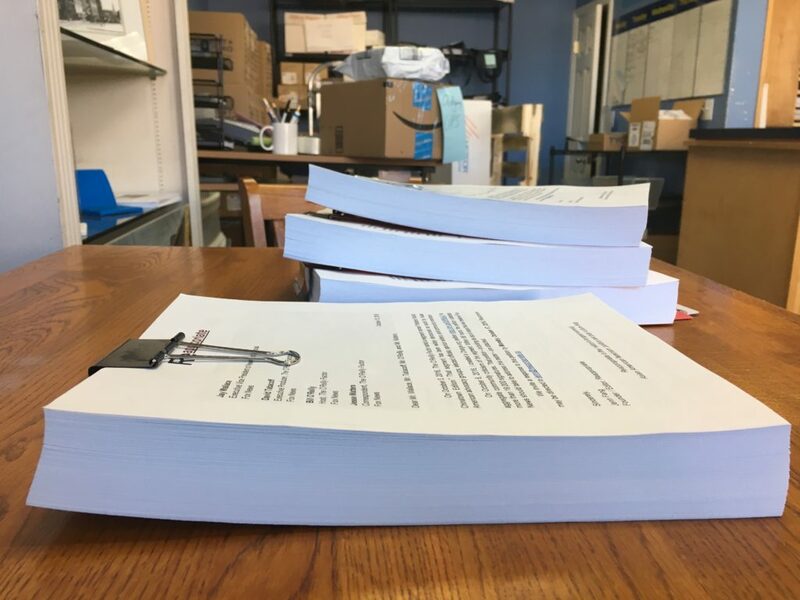 The petition copies were sent by courier to: Jay Wallace, Executive Vice President of News & Programming; David Tabacoff, Executive Producer of The O’Reilly Factor, Bill O’Reilly, and correspondent Jesse Watters. In total, each petition contained over 220 pages listing thousands of the petition’s supporters. Each petition weighed nearly four pounds. In the middle of heated racial tensions and xenophobia permeating the U.S., Asian Americans found ourselves unexpectedly in the spotlight, thanks to Jesse Watters’ racist Chinatown segment which aired last Monday on Fox News’ darling show, The O’Reilly Factor. 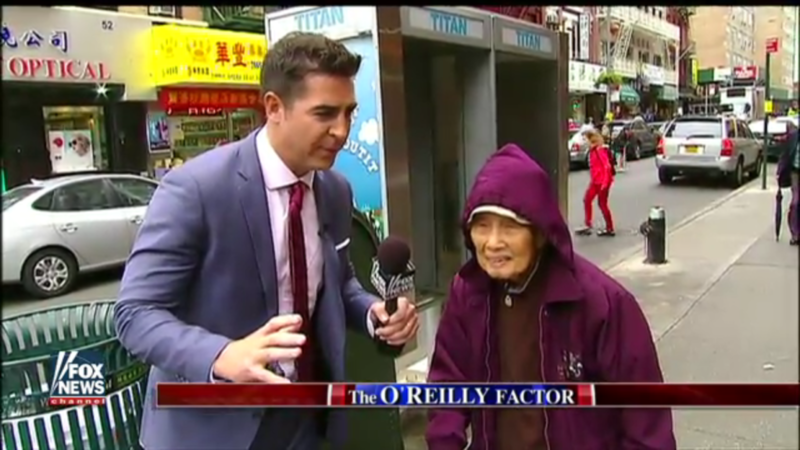 In that segment, Watters went to New York’s Chinatown supposedly to interview Chinese Americans regarding their political opinions. The segment consists of condescending, unserious and flippant interviews Jesse Watters conducted with Chinese Americans — and, in fact, one Japanese American whom Watters assumed was Chinese American. Watters starts out by questioning his interviewees regarding the upcoming presidential election, and the rest of the clip shows Watters haughtily treating his interviewees as stereotypical Asians. The stereotyping includes asking a man Watters assumes to be Chinese if he knows Karate, which is from Japan. Elsewhere, Watters asks two young Asian ladies if he needed to bow before talking to them, as if they are Asians from Western movies. The most insulting parts were, probably, Watters asking older Asians (who, in all honesty, look like people who don’t understand English well) about their opinions on Trump; Fox News ridiculed these seniors’ inability to answer with awkward cricket sounds.